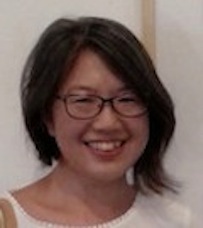 Eveline Chan is a member of the English, Literacies and Languages Education (ELLE) team. Within this group, she specializes in English and literacy and is a member of the Languages, Literacies and Literature Research Network. Chan, E., Devrim, D., Posthausen, G., & Carter, K. (2016-2017). Embedding literacies support for at-risk students in initial teacher education units. School of Education Research Network Project Funding. Blass, E., Chan, E., Feez, S., Clary, D., Zhang, Z., Morgan, A.-M., & Hathaway, T. (2013). Use of interactive media in English language teaching at a distance: Impact on pedagogy, practice and outcomes. Interactive whiteboard technology enabling distance interaction in the English Language Centre classrooms. Teaching and Learning and School of Education (Centre for Research in English and Multiliteracies Education): DVCR Major Equipment Grants, UNE ($37,215.50). Chan, E. (2012-2014). Enhancing students' reading of multimodal texts in online environments. UNE University Research Seed Grant ($12,000). Tobias, S., Feez, S., Chan, E., & de Silva Joyce, H. (2012-2014). UNE School of Education - Pre-Service teacher education literacy, numeracy and ICT survey. School of Education: UNE SAF ($30,000). Chan, E. (2011). Mapping the community-based literacy practices of young mothers with pre-school children - a pilot study. School of Education Internal Research Grant ($4,000). Chan, E. (2010). Specialised literacy demands of multimodal and digital texts. School of Education Internal Research Grant ($4,000). Kalantzis, M., Cope, W., Chan, E., & Dalley-Trim, L. (2016). Literacies (2nd ed.). Cambridge: Cambridge University Press. Chan, E. (2018). Composing informative multimodal texts in an integrated unit. In L. Tan & K. Zammit (Eds. ), Teaching writing and representing in the primary school years (2nd Edn) (pp. 84-110). Melbourne: Pearson. Chan, E., & Zhang, Z. (2017). Teaching reading through multimodal texts. In H. P. Widodo, A. Wood, & D. Gupta (Eds. ), Asian English language classrooms: Where theory and practice meet (pp. 49-70). Abingdon, UK: Routledge (Taylor & Francis). Chan, E. (2016). Composing informative multimodal texts. In L. Tan & K. Zammit (Eds. ), Teaching writing and representing in the primary school years (pp. 84-106). Melbourne: Pearson. Freebody, P., Barton, G., & Chan, E.(2014). Literacy education: 'About being in the world'. In C. Leung & B. V. Street (Eds. ), The Routledge Companion to English Studies (pp. 419-434). London: Routledge. Freebody, P., Chan, E., & Barton, G. (2013). Literacy and curriculum: Language and knowledge in the classroom. In K. Hall, T. Cremin, B. Comber & L. Moll (Eds. ), International handbook of research in children's literacy, learning and culture (pp.304-318). Maiden, Mass. : Wiley-Blackwell. Chan, E. (2011). Integrating visual and verbal meaning in multimodal text comprehension: Towards a model of inter-modal relations. In S. Dreyfus, M. Stenglin, & S. Hood (Eds. ), Semiotic margins: Meaning in multimodalities (pp.144-167). London: Continuum. Unsworth, L., & Chan, E. (2009). Bridging multimodal literacies and national assessment programs in literacy. Australian Journal of Language and Literacy, 32(3), 245-257. Available at http://alea.edu.au/site-content/publications/AJLL article Oct 09.pdf. Unsworth, L., & Chan, E. (2008). Assessing integrative reading of images and text in group reading comprehension tests. Curriculum Perspectives, 28(3), 71-76. Van Rooy, W., & Chan, E. (2009). Transforming knowledge and learning through technologies and modalities: New forms of assessment [VAN081043]. In The Australian Association for Research in Education Conference 2008 Papers Collection (Proceedings) [Online]. http://www.aare.edu.au/08pap/abs08.htm. Hedberg, J., Van Bergen, P., Freebody, P., Nichols, K., Van Rooy, W., Barton, G., & Chan, E. (2008). Transforming through technologies the modalities of learning: New Life Sciences in secondary schooling. In J. Luca & E. R. Weippl (Eds. ), ED-MEDIA 2008 World Conference on Educational Multimedia, Hypermedia and Telecommunications (pp. 6322-6330). Chesapeake, VA: Association for the Advancement of Computing in Education. Van Rooy, W. and Chan, E. (2014, March). Multimodal representations in Senior Biology assessments: Twelve years of public examinations in NSW Australia. Paper presented at the National Association for Research in Science Teaching (NARST) 2014 Annual International Conference, Awakening dialogues - Advancing Science Education Research Practices and Policies. March 30 - April 2, 2014, Pittsburgh, PA USA. Chan, E. (2010, December). Transformations and transductions across modes of representation and communication in the new life sciences. Paper presented at the Fifth International Conference on Multimodality (5ICOM), University of Technology, Sydney (UTS), 1-3 December 2010. Chan, E. (2009, April). Image-language interaction in online reading environments: Challenges for students' reading comprehension. Paper presented at the 44thRELC International Seminar The Impact of Technology on Language Learning and Teaching: What, How and Why. Singapore, 20 – 22 April 2009. Van Bergen, P., Chan, E., Freebody, P., Hedberg, J., Nichols, K., Van Rooy, W., & Barton, G. (2008, June). Digital and multimodal representations of 'New Life Science' concepts in Australian science classrooms'. Paper presented at the International Conference on Multimodality and Learning: New Perspectives on Knowledge, Representation and Communication.Institute of Education, University of London, 19-20 June 2008. Chan, E. (2006, July). Dialogue and evolving meaning potential: Mapping patterns of semogenesis in classroom discourse. Paper presented at the 18th Euro-International Systemic Functional Linguistics Conference and Workshop, Systemic-functional linguistics at the frontier: Thresholds and potentialities of SFL as descriptive theory. University of Trieste, Gorizia, Italy, 19-22 July 2006.